This LP has 10 parts. Thanks! We like it too.Why not check out some similar LPs from our recommendations? What would you like to tag this LP as? Original Thread: Min oferglidendescip is aelful: Let's Play Ultima 1! 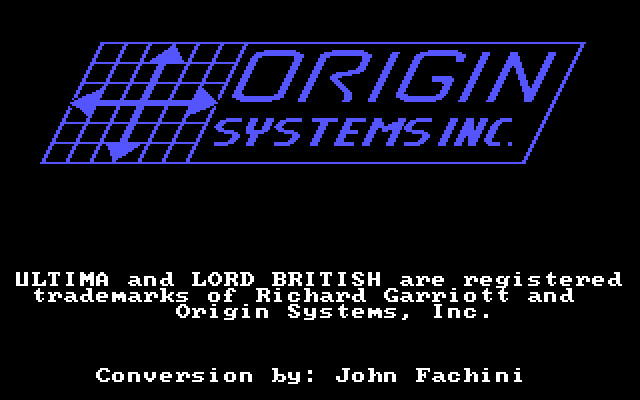 1987 was a pretty momentous year for PC gaming. That year, IBM unveiled a revolutionary new approach to personal computer graphics, the first for its line that existed simply as a chip and did not require a bulky adapter card. It set a standard for color unprecedented for its time, and a standard for color palettes that we still use to this day. This "Video Graphics Array" technology would, as it became more common, end up dealing a mortal blow to the entire 8- and 16-bit era; every competitor but Apple would collapse in the early 1990s, and Apple itself retreated completely to its Macintosh line. It's very difficult to call Ultima 1 a good game. It was one of the trailblazers, though, and unlike the other three games I consider foundational dungeon crawlers (Wizardry, The Bard's Tale, and Might & Magic) it is a vastly different experience from anything else. I've cleared the game entirely once and had four or five incomplete playthroughs to poke at the edges of it. If you haven't played any Ultima games pre-Avatar, you've got a few surprises waiting. 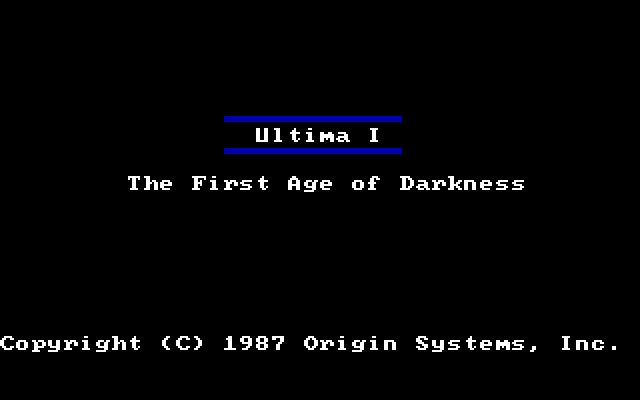 If you want to play it yourself, Ultima 1-3 is available on GOG.com, but be aware that every game in that pack but this was was designed to be played on a CGA computer hooked to a television screen, and DOSBox doesn't handle that properly. See Wikipedia's side-by-side comparison.